What is Myofascial (Muscular irritation/ pain) Cupping? It involves gliding negatively pressurised cups across the body with the assistance of massage cream. Unlike other massage techniques which utilise compression, cupping ‘lifts and separates’ tissue. It aids in increasing nutrient rich blood supply to treated areas, whilst giving a gentle passive stretch to the underlying soft tissue. You can request this treatment when booking in for a Remedial Massage with Kerryn. Will I have those circular bruises? This is not part of the desired outcome of cupping. 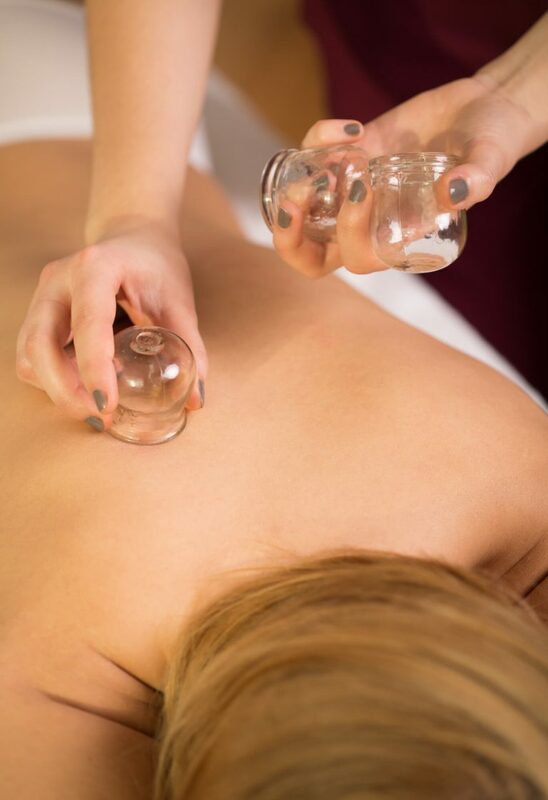 Myofascial cupping is different to traditional cupping and when done correctly, is performed at a pressure level that is almost painless to the patient. Cupping can assist in maintaining Range of Motion, as well as eliminating myofascial trigger points and helping to reduce restrictive and often painful myofascial movements originating from sports and the workplace.